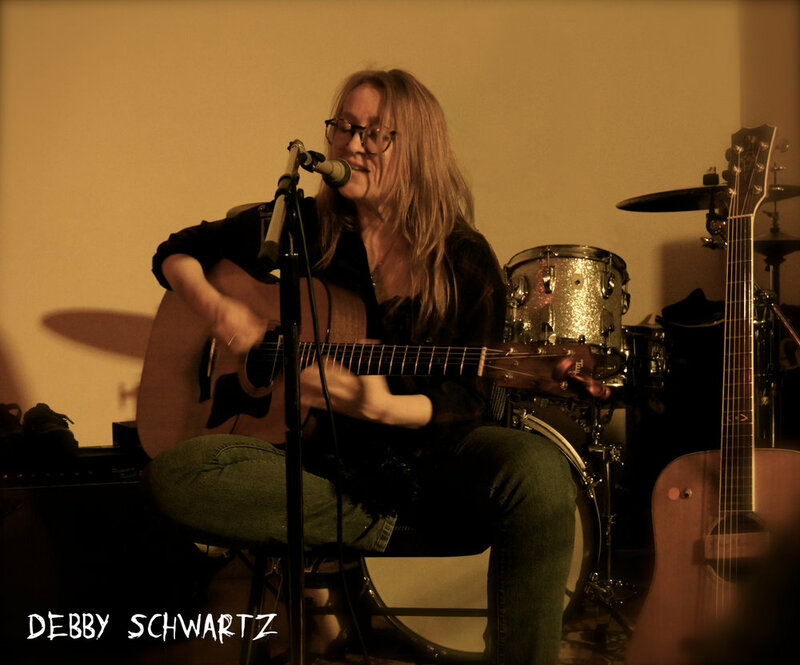 Debby Schwartz has hands like Bert Jansch and a voice like the autumn moon. She found her own resonance by channeling artists like Jansch while unraveling the influences behind Led Zeppelin and Neil Young. Her latest collection of songs is an instant addition to the canon of American hardscrabble songbook -- something Rick Rubin would have had Johnny Cash cover -- which, in its terse, bobbing and circular major-minor tides, both addles and propels the listener. An EP titled Satan, You Brough Me Down marks her Twin Lakes debut and will be followed by A Garden of My Own, a full-length available on vinyl and CD in early fall 2014. Debby has worked most recently as bassist and backing vocalist in the British folk-influenced band P.G. Six (Drag City) known for their deep ballads, slanted shanties, and jagged, heavy harmonies. She also anchors Ember Schrag’s band on bass and backing vocals. Debby has been performing/writing since 1981. She was the lead singer and rhythm guitarist for the all-female rock band The Aquanettas, which toured the US and UK in the 90's. In the latter part of that decade, her friendship with Joan Osbourne led to a solo rock album on Mercury Records. She’s played in The New Tangerine Puppets, Airlines, Lightning Kites, Axiom Addicts and The Flavor Crystals, and she’s a long-running member of Loser’s Lounge. In the 80’s she participated in an avant garde theater group called The Summit Ensemble. She has written scores for musicals and plays. She has drawn inspiration from the best of many worlds, from Stockhausen to Messiaen, from Joan Baez to Pentangle, from Joni Mitchell to the X-Ray Spex. Listen to her cut-to-the-soul folk shanties below.